Have you ever had a nightmare? Most of us have had at least one. A nightmare is a frightening and unpleasant dream. It can be a terrifying or extremely unpleasant experience. In this dream you may be falling or running away from something horrible. I have heard individuals say that they were aware that they were asleep and prayed to be able to wake up. Fortunately for them they did. Upon awakening they found themselves gasping for air and short of breath. Sometimes when they awaken from a nightmare they may find themselves shaking and drenched with sweat. They might say, “Wow! That seemed so real! My heart was really pounding! Others have reported a sensation of falling over and over again. And then there are those who say, “I knew I was falling into Hell”. These all sound like absolutely horrible experiences, right? Well, I have some really bad news for some of you and then some good news for others. The bad news is that one day some of you will experience this nightmarish horror. The dream that you are falling into Hell will become your reality. If you are not saved you will not wake up from this dream. If you have not repented of your sins it’s just a matter of time and Hell will be your destination. Hell is a one-way-in-and-no-way-out-location and that never-ending nightmare will be your eternal abode if Jesus Christ has not washed your sins away. Jesus Christ himself said in Matt.25:41 “Then shall he say also unto them on the left hand, Depart from me, ye cursed, into everlasting fire, prepared for the devil and his angels”. That tells us that Hell was not originally planned for man. It was prepared for Satan and his minions, but men are just breaking into Hell. Why? Because it’s sin that damns a man’s soul to Hell. Sin is the transgression of God’s law. When God says to do something and you don’t do it, or if He says do not do something and you do it, you’ve sinned. All sin is equally sinful and all unrepentant sin means death or eternal separation from God. Adam and Eve, our original parents, through their sin of disobedience in the Garden of Eden, set all of mankind on a direct pathway to Hell. Only Jesus Christ is able to rescue mankind from that awful place. 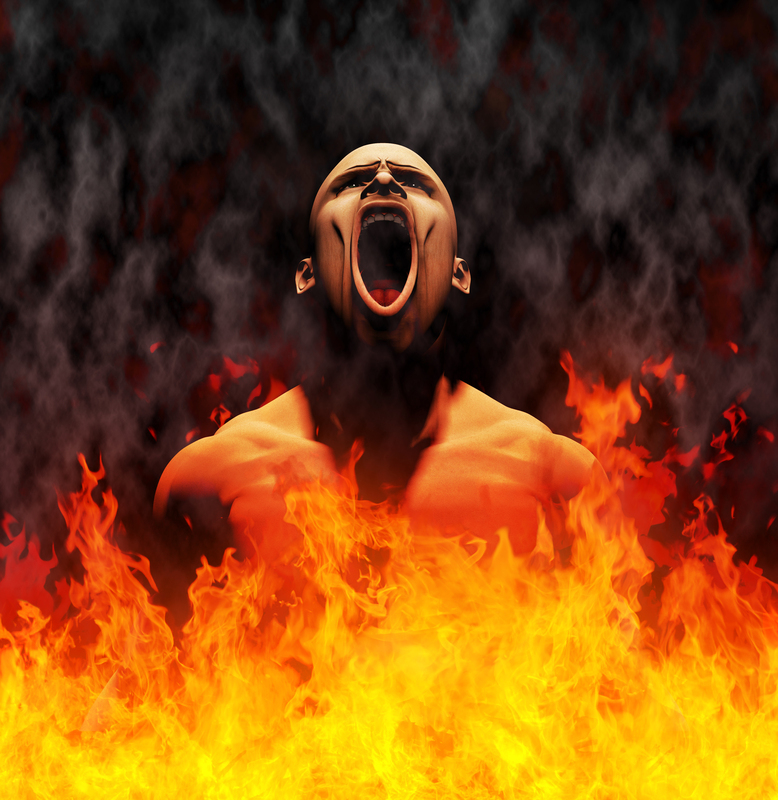 The Bible tells us that Hell is a real place with real fire and eternal torment. It is a never-ending nightmare that any sane human being would want to avoid. There is a passage in Luke 16:19-31 that discusses the lives and death of two men, a rich man and a poor beggar named Lazarus. Those of us who are alive today should listen and learn from their stories. This is a clear example of a man who went to Hell and one who went to Heaven. Some people did not believe their stories when Luke recorded it just as some are not believing their stories today. Please believe me that the sins that you have committed and are committing will take you to Hell. But we offer you an excellent solution. His name is Jesus Christ. Jesus died for your sins and if you receive him you can avoid the fires of Hell. Repent, get saved, get filled with the Holy Ghost and Hell will no longer be your destination. Earlier in this discourse I said that I I had bad news for some, and some good news for others. By now you realize that the bad news is that if you don’t repent you’re going to Hell. Your worst nightmare will soon be your reality. But the good news is Jesus loves you and you can be saved. Simply repeat these words or similar ones, mean them with all of your heart and your eternal destination will be changed. No longer will you be headed to Hell, but you will be on your way to Heaven. “Father, I’m sorry. Please forgive me of all of my sins. Save me Jesus and fill me with the Holy Ghost. If you give me this power of the Holy Ghost to live like God requires, I will live for you forever. Thank you for saving me Jesus. Amen”. It’s as simple as that. Jesus took all of the work out of salvation. All you have to do is ask for it. If you mean it, it’s done! Deuteronomy 11: 26-28 says: Behold, I set before you this day a blessing and a curse; A blessing, if ye obey the commandments of the LORD your God, which I command you this day: And a curse, if ye will not obey the commandments of the LORD your God, but turn aside out of the way which I command you this day, to go after other gods, which ye have not known. Choose wisely because your eternal future depends upon it. Previous Don’t Let It Be Said, “Too Late”.